Buy Classic majestic stake lights - 5 piece: <ul><b><li>Elegant crackle glass ball</li><li>Super bright LEDs</li><li>Creates a distinctive light effect</li></b></ul><br>Harness the natural energy of the sun to transform your garden with these solar powered glass lamps. 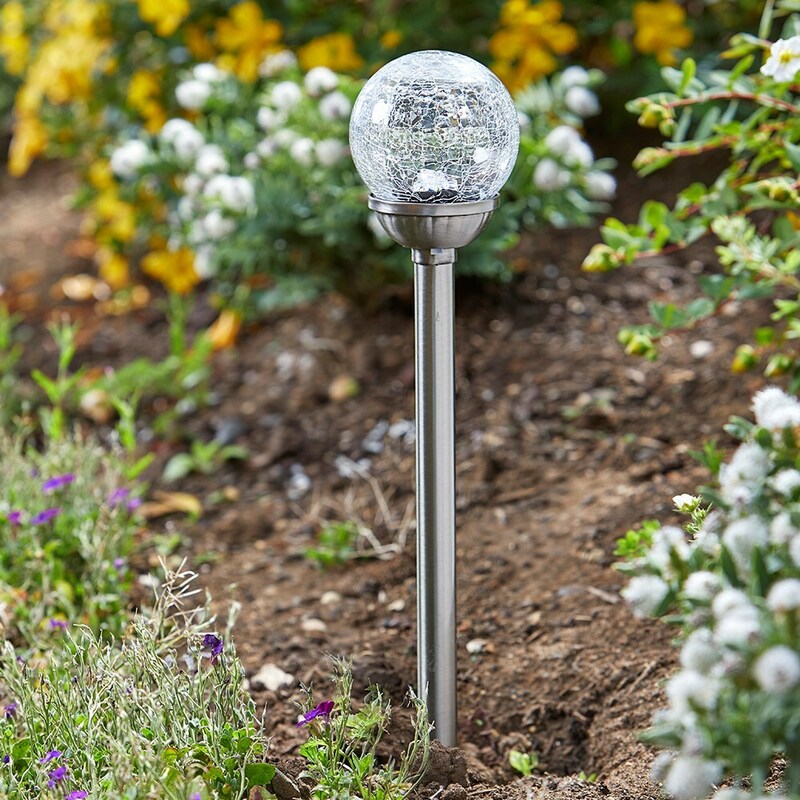 Perfect for adding atmosphere to any outdoor space, the light is filtered through a cracked ice-style glass ball mounted on a stainless steel stake.<br><br>Use to spotlight plants or illuminate pathways and edges, and choose between white and multi-coloured light to create different moods.<br><br>The light is wireless and can be positioned anywhere in the garden with direct sunlight. It automatically turns on at dusk and off at dawn. Requires a single AA battery (supplied). Pack of 5. Harness the natural energy of the sun to transform your garden with these solar powered glass lamps. Perfect for adding atmosphere to any outdoor space, the light is filtered through a cracked ice-style glass ball mounted on a stainless steel stake. The light is wireless and can be positioned anywhere in the garden with direct sunlight. It automatically turns on at dusk and off at dawn. Requires a single AA battery (supplied). Pack of 5.